Interior design can be outdated anytime, let’s face it it will not last forever, but some can cycle back around and it is very difficult to find your way back to the maze of styles. 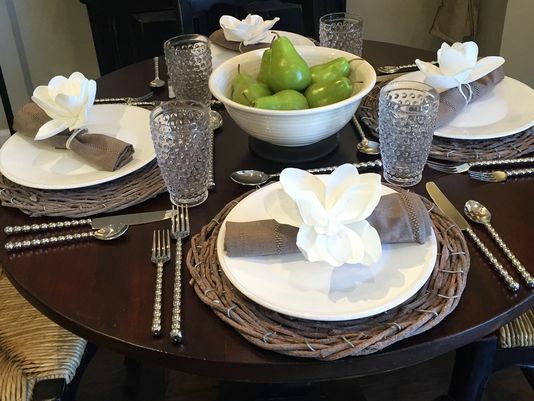 DNJ columnist Jennifer Davenport said interior design doesn’t have to be intimidating. “It’s about creating a home that is nurturing, a place that you love,” Davenport said. When the National Home Builders Association honored single-family, multifamily, remodeling and community projects at the 2015 Best in American Living Awards in January, a few trends stood out. “(Best in American Living Awards) continues to be a snapshot and a directional for the way forward in home building and design,” said Heather McCune, co-chairwoman of the Best in American Living Awards Subcommittee. Mid-century modern has become a 21st-century design trend; board and batten is bringing exterior elements inside; white is being paired with exotic or repurposed wood; brick, glass and steel are forming modern industrial accents; and barn doors are offering alternatives to traditional and pocket doors. It can all be overwhelming when deciding between mid-century modern, shabby chic or modern industrial. To help the homeowners in Rutherford County take the stress out of design, Davenport will open her own storefront on Saturday. JD’s All About Home is at 505-D Cason Lane in Murfreesboro, next to The White Room. Davenport’s design philosophy goes beyond what is trendy, she said. She honed her philosophy over the years as a freelance designer and intends to further sharpen her skills at the store, she said.